ALL TrailMaster Go-Karts purchased from GoKartMasters.com have a 1 Year Limited Warranty. See warranty policy details below. No other warranty, express or implied is provided by GoKartMasters.com. Some products may carry a warranty from the manufacturer. Any warranty offered by a manufacturer is from that manufacturer and not GoKartMasters.com. GoKartMasters.com may assist the customer should a warranty issue arise. For products whose manufacturer offers a warranty, that warranty shall cover defective parts only and not labor. Labor is NOT covered under any circumstance. Warranty does not cover shipping costs. All warranty procedures that the manufacturer requires must be followed, no exceptions. Contact GoKartMasters.com for details and further instructions if you think you have a warranty situation before you proceed. Any warranty that comes with a unit states the warranty coverage and time periods. If you have any questions regarding the warranty policy or procedure, you may contact service@GoKartMasters.com for more information. If you think you have a warranty claim, please email service@GoKartMasters.com. The warranty claim must consist of a picture of the defective part, proof of purchase, model and serial numbers, and contact information. Warranty does not cover any labor charges. The warranty is provided by the manufacturer. The manufacturer’s limited warranty covers defects. Most manufacturers warrant their vehicles for 90 days on the engine and 30 days on parts from the date you receive your vehicle. Warranties cover defective parts only and do not include parts worn by standard use such as tires, belts, clutches, chains, etc. or parts damaged from use, accidents, wreckage, abuse, misuse or improper maintenance or improper setup of the unit. Any outside repair labor charges, down time, towing or shipping charges are not covered under warranty. Warranty does not cover or reimburse any outside labor charges. 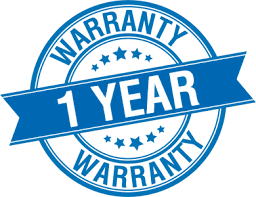 Warranty does not cover any towing or shipping charges to and from. A picture of the part must be emailed to service@GoKartMasters.com in order to determine warranty coverage. If a picture is not sufficient for warranty clarification, you may be required to return the defective warranty part(s) to GoKartMasters.com. Shipping costs are your responsibility and will not be covered under warranty. New replacement parts may be shipped to the buyer at no additional charge. Any part not covered by warranty from the manufacturer can be returned to you at your expense. GoKartMasters.com can still ship the part not covered by warranty, but payment will be required. We recommend that initial assembly and preparation be performed by a professional mechanic (motorcycle shop, local auto repair shop, or small engine repair shop) or an authorized dealer of the manufacturer to assure your vehicle is in good working condition or warranty may be void. The following list of items not covered by the warranty policy is not all inclusive and may be modified at any time. Air filter, batteries, belts, body panels, bolts, brakes, brake pads, cables, chains, clips, clutch, CV boots, drive belt, electrical parts, fasteners, fenders, fender mounts, fuel filter, filters, fuses, gaskets, hoses, lights, light bulbs, mirrors, nuts, oil filter, plastic body panels, rubber goods, seats, shocks, spark plugs, sprockets, springs, tires, transmission, and wheels. Jumping, stunt riding, modification of any kind, racing, over revving the engine, improper adjustment/operator of the clutch, improper adjustment/operation of brakes, improper gear engagement. Email service@GoKartMasters.com a picture of the defective part, proof of purchase, model and serial numbers, and your contact information to begin the warranty process. Only the defective part(s) will be replaced and not the complete vehicle. Warranty does not cover any labor charges. If a picture is not sufficient for warranty clarification, you may be required to return the defective warranty part(s) to GoKartMasters.com. Shipping costs are your responsibility and will not be covered under warranty. New replacement parts may be shipped to the buyer at no additional charge. Any part not covered by warranty from the manufacturer can be returned to you at your expense. GoKartMasters.com can still ship the part not covered by warranty, but payment will be required from the customer first. Customer satisfaction is important to us. We will work with you and the manufacturer to resolve warranty issues in a timely manner.